Here Are 5 Tips For Fat Loss That You Can’t Afford To Ignore! Fat Loss is a subject that crops up a lot in general these days — when you’re at work, when you’re out socialising — I’ve even heard people talk about it to their barber! The thing is, most people will overthink “fat loss” and believe that it is a mystery which secrets are guarded by Hollywood actors or the very best personal trainers and athletes. Guess what? There is no weight loss secret, no magic formula, and “successful fat loss” is definitely something that can be achieved by everyone. You just need to make a few simple lifestyle changes and re-programme your mindset, if you are one of the millions of people who struggle to achieve successful weight loss. Here are a fat loss tips to get you started. I find that if I am confused with any type of venture, and I strip it back to basics, I will have a greater success. Get the basic tips for fat loss right first, and you can’t go wrong. I have personally heard hundreds of people tell me that they need to lose weight; some have been saying it for years and will probably be saying it for years to come. Saying that you need to, or want to, lose weight is a lot different from actually taking action and starting to implement your plan and taking your first steps on your new weight loss lifestyle. So, after you have read this, START YOUR PLAN! I have personally prepared this plan for you. Tips for Fat Loss #2 – It’s a Lifestyle; Not a Fad! Your super weight loss results won’t come overnight. It is important to understand this! 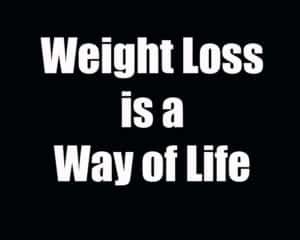 If you can look at your weight loss goals as a lifestyle rather than something that you will do for the next few weeks, you will be on the right track. It takes some people years to start to regard weight loss or fat loss in this light, while others will never make this giant leap towards achieving their goals. And it is a giant leap! Once you understand that weight loss is something for the long haul, you have truly jumped some big hurdles. This goes along the same lines as Tips for Fat loss #2, still, it is worth repeating in a heading if it will hammer this point home. Remember this quote the next time you are tempted with a “quick-fix-it” solution to fat loss. Everywhere you look, there are weight loss pills, fat loss supplements, “new” weight loss diets, exercise plans and fads that promise you outstanding results in a few short weeks. I’m sure that you know what I mean. Each one of these products is designed to get you to part with your hard earned cash. Sure, some of these will help you slightly but, in the end, getting your fitness results or not boils down to a few simple factors. Are you consistent? Do you have a healthy diet / lifestyle? Do you stay active or exercise on a regular basis? By all means, use supplements to help yourself on the way but remember that if you fail to affirm positively to the three questions above, you will be wasting your money! 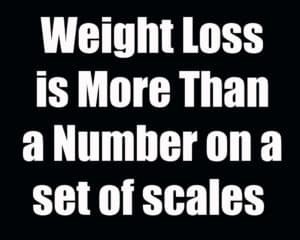 Many weight loss failures are due to the “all important scales.” Regular weigh-ins can kill your motivation fast! What many people don’t understand is that weight loss should be measured in “fat loss,” and not weight number. If you are exercising regularly, especially if you use resistance training, you will be building muscle. Now, lean muscle mass is heavier than fat, so if you appear to be staying the same or even gaining weight due to the number on the scales, you are likely stimulating more muscle fibre growth. Don’t worry! You won’t end up looking like the Hulk; your body will just be turning into a fat-burning machine. The more muscle that you have, the easier it will be for you to burn the fat that you don’t want. The best form of weight loss measurement from my experience is the clothing that you wear or the mirror. A top tip is to throw away your scales and get a pair of tight jeans. try to put them on every two weeks and see how they fit. This can be a great motivator! A word of warning though: you won’t see results overnight. So make sure that you don’t “measure” yourself every day, stick to the reduced frequency of once in two weeks or calendar month. I hope that these tips for fat loss have given you some great ideas. I’d be happy to help you further, and be even happier to hear of your weight loss / fat loss success! Can’t Do PUSH-UPS But Want to Learn? Watch Out for Sugar in Foods!